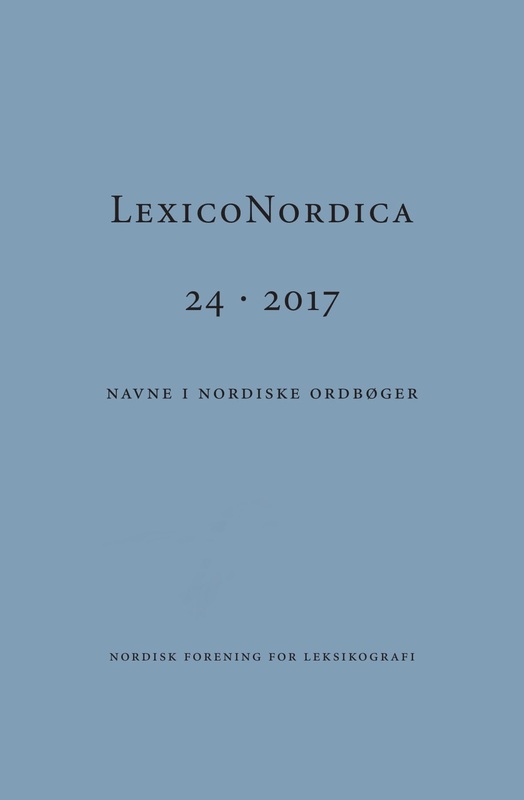 The lemma lists of the monolingual dictionaries published by the Institute for the Languages of Finland contain only such proper names that are used as common nouns either by themselves or in idioms. Some toponyms are included in the mutual lemma lists of bilingual dictionaries for immigrants. Proper names occur also in lexicographical examples. The editors need to make sure that the names used in these examples are included in the lemma list of the dictionary or are otherwise well-known. There is little need to add more proper names in the dictionaries published by the Institute for the Languages of Finland, because the Institute also publishes a lot of instructive material about names as such.